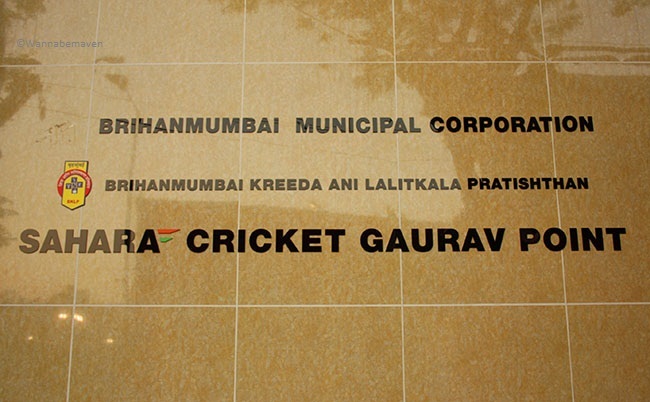 Brihanmumbai Muncipal Corporation gives cricket enthusiasts a reason to smile. 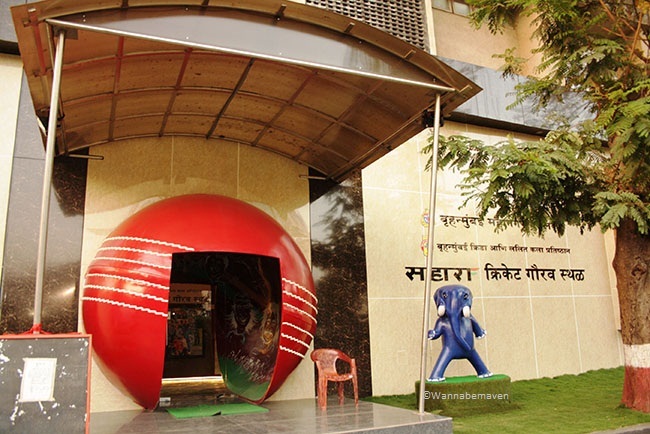 BMC along with Sahara (an Indian business conglomerate) have built in Mumbai a gallery dedicated to the sport of Cricket. The move, although innovative, is not surprising in a country where cricket is a religion and many swear by the sport. Located in Andheri, Sahara Cricket Gaurav Point was launched in January 2012 at the hands of legendary cricketer Sunil Gavaskar. The museum houses memorabilia of prominent cricketers and cricketing events including the historic Indian World Cup wins in 1983, 2007 (T20) and 2011. 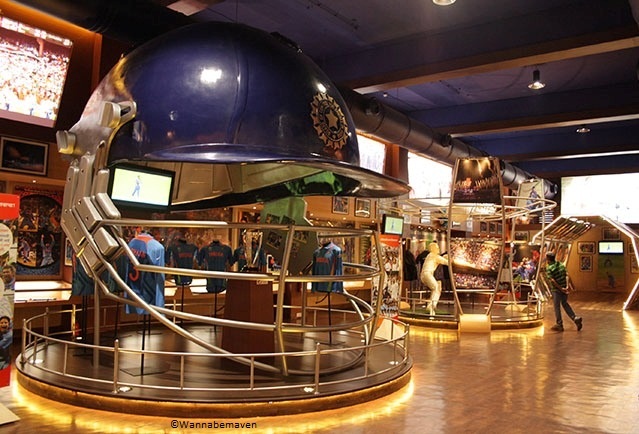 Autographed bats, balls, gloves, stumps, cricketing kits, caps and exclusive photographs are on display at the museum that is steadily growing into an attraction for Mumbaikars. Location of the museum, especially, comes as a relief for Suburbanites who otherwise headed towards South Mumbai for galleries, museums or sightseeing all together. Sahara Cricket Gaurav Point surpasses expectations in the way it has been designed. Everything from ambience to interiors, conceptualization and its grandeur as a whole is sure to impress. 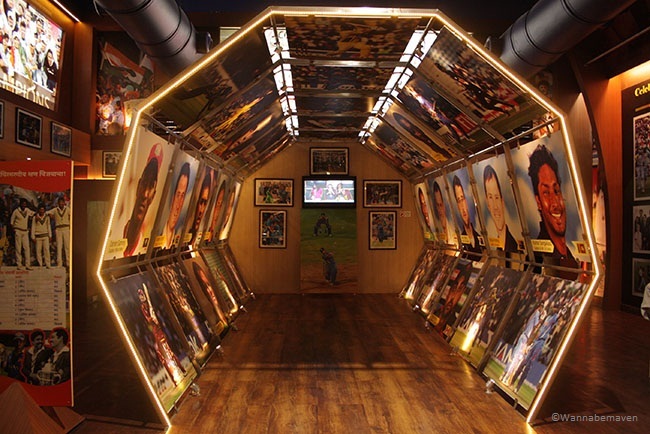 The entrance grabs attention with a massive frame displaying the 2011 Indian cricket team and their world cup winning moment. 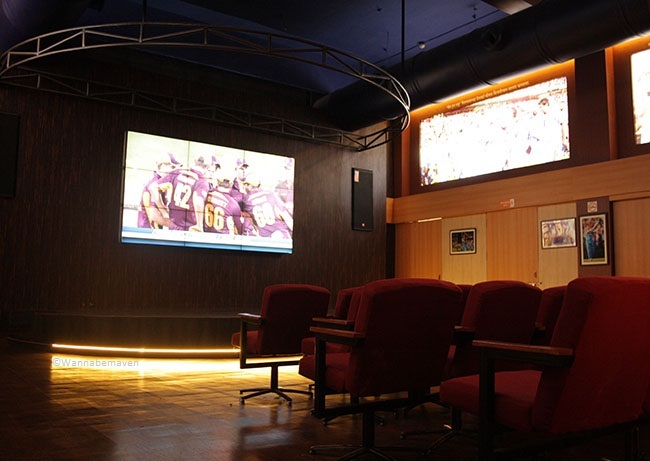 Museum has been built on an audio video format where visitors can see highlights of crucial Indian matches on LCDs. This works well to effectively absorb information about the journey of Indian cricket. Gallery maintains exclusivity, as some of the objects on display are rare. 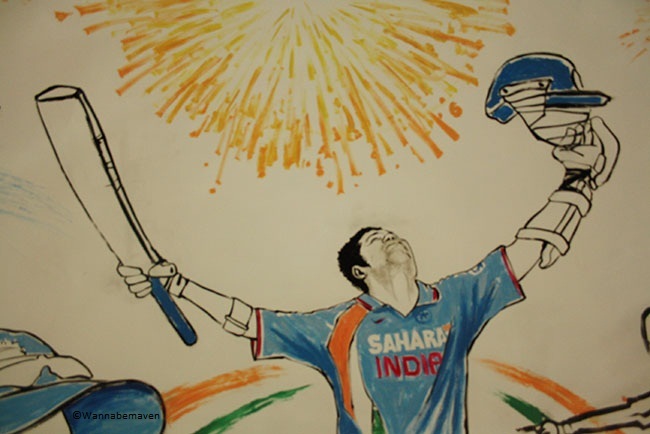 Many of the objects are autographed by not just Indian cricketers but also International players. 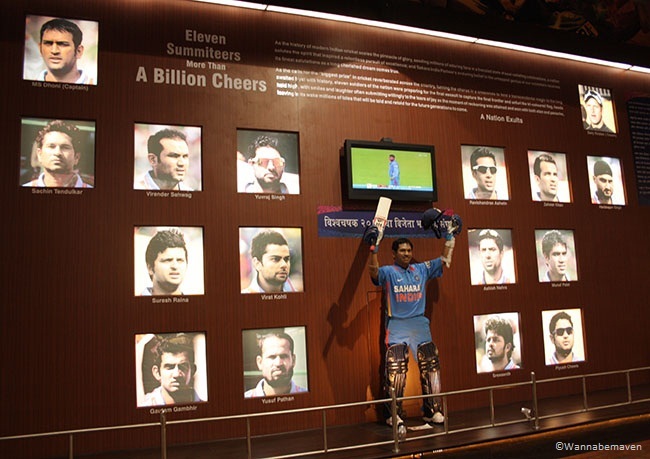 A section of the wall showcases photographs of Indian cricket team members who were part of the historic world cup wins on their respective 3 occasions. Other corners flaunt candid pictures of players on field and during practice sessions in a slideshow layout. 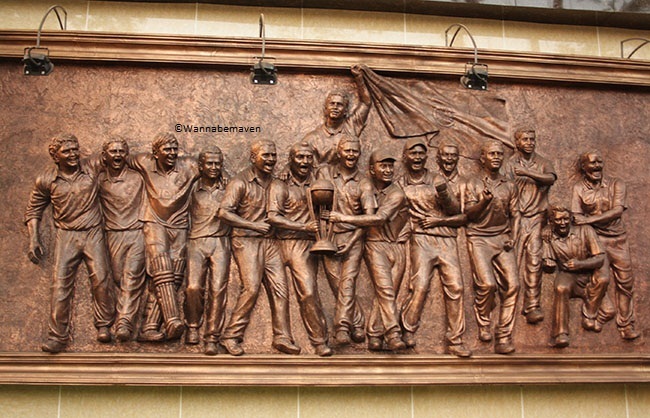 Best feature of the gallery are statues of some prominent Indian cricketers like Kapil Dev, Sunil Gavaskar, Rahul Dravid and Mahindra Singh Dhoni. The museum also makes space for a 30 seater auditorium. Match highlights of Indian World Cup finals is played in loop and viewers can refresh their memories of those extraordinary moments. 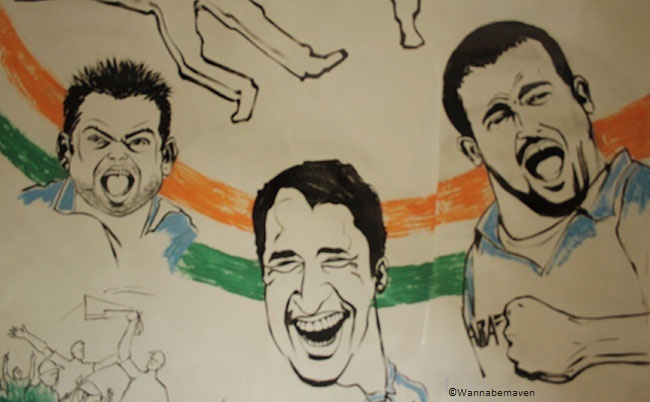 Entry and exit points at the museum have caricatures of cricketers which further add to the museum’s striking look. I am not being picky, but on the negative side, the museum gives a very limited tribute to the Indian Women’s Cricket team. Also, the museum has weird visitor timings (see bottom of the post). Entry to Sahara Cricket Gaurav Point is free of cost. Bring your camera along, as photography is permissible and without a charge. Sahara Cricket Gaurav Point is a one of kind museum that has been built exclusively keeping an average Indian’s love for cricket in mind. It does not seem like the craze for this sport will die down anytime soon. Hence, the gallery should garner many patrons for its well thought concept. Its location should over time attract intriguing suburbanites and South Bombayites as well as Tourists visiting the city. Cricket, Gallery, Mumbai sightseeing, Museums, Museums in Mumbai, Sachin Tendulkar, Sports, Travel, unique museums, World Cup. Bookmark.